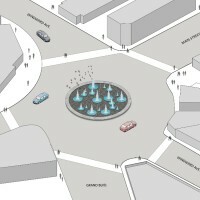 The proposed concept for the “circle” is to have unique urban energy. It stands apart from other surrounding buildings yet is completely integrated into its neighborhood to serve the community. The concept is intended to create a cultural and social place inherent in Venice and enhance functions as it improves life and brings the community together. 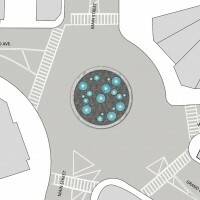 This 95 foot diameter urban space serves as a pumping station to capture surrounding street water runoff. There are various access panels on the existing site that will remain accessible. The new fountain base is raised 12” above the curb for pumps and waterlines; the spaces in between the panels are filled with gravel. 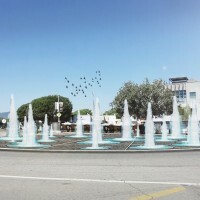 During the day water fountains vary in height from 11 ft., 8ft. to 5 ft. 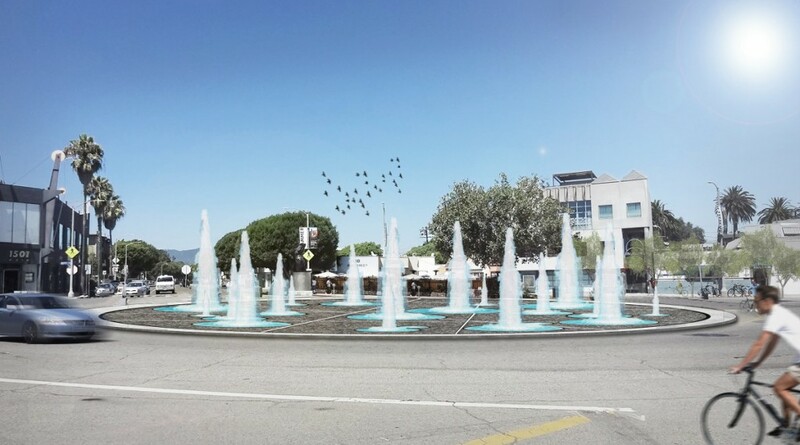 The space between fountains will maintain good sight lines for passing traffic. 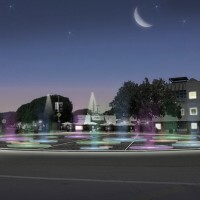 At night the fountains are down and the water base is lit to glow.